Last Laugh Thursdays at Silvies tonight – $5 (1.30.14)! 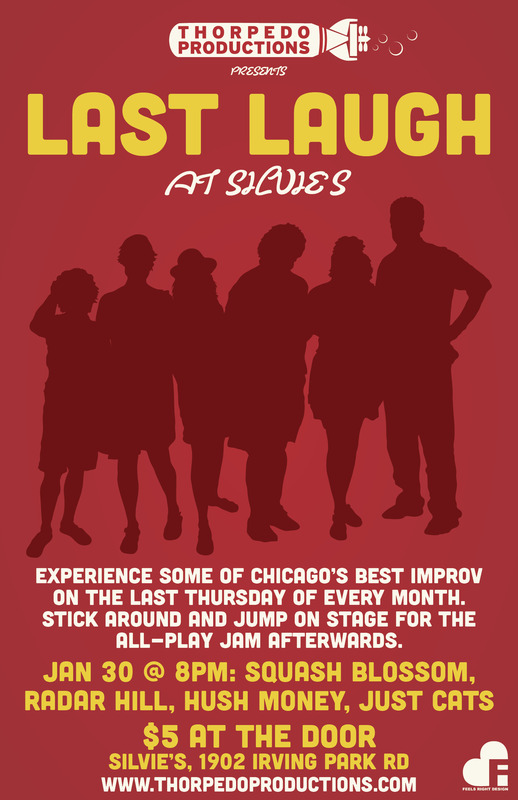 Join us for some of Chicago’s best improv at the wonderful Silvie’s Lounge. $5 tickets, cheap drinks and a chance to jump on stage with the performers for a post-show jam.